For the first time, Dian Fossey isn’t the only person able to enjoy life with the gorillas. For those struggling with insomnia and stress, Silverback Gorilla is a must-try strain. While typically gentle and relaxed, this indica can pack a punch. Fast-acting and hard-hitting, the potency of Silverback Gorilla may come as a surprise. Known to be a cross between Grape Ape and Super Silver Haze, this strain is strictly for nighttime consumption. Featuring a musky, piney aroma similar to a morning walk in the forest, this strain provides a truly relaxing experience. While this Silverback isn’t endangered, it is slightly uncommon, making it potentially difficult to find but well worth the trek. Cannalope Haze is a sativa dominant strain with 5:95 ratios, where 5%is sativa and 95% is indica. DNA Genetics crossed a Haze with a male Mexican landrance sativa to create almost pure Sativa hybrid. It is popular for its taste and high. Buds are light green in color with orange hairs and white crystal coating to go along with it. It is a sweet mix of tropical, melon and floral. It takes 8-9weeks to flower.It has 20% THC content. Due to its strong effects it is recommended for night consumption.It is believed to have originated in Mexico and United States, but you can easily buy here on Cannabis Fast Express. Order yours now. Cannalope Haze activates the mind and calms the body down. It gives exhilarating energy and an underlying body buzz. Some users might feel the Indica effects much more strongly and find themselves looking for a place to take a nap. As for the taste it is really smooth. 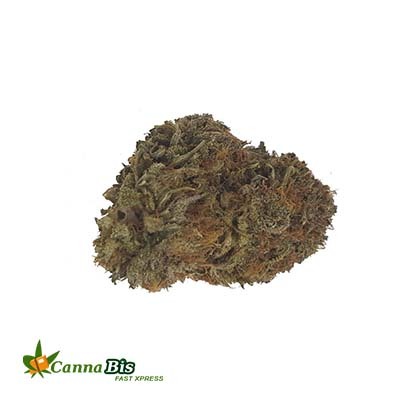 Cannalope Haze helps treat depression, stress, pain, and lack of appetite. Due to high THC content it is not recommended for first time cannabis users. It can also be used to help treat diabetes, glaucoma, nausea, mood disorder, migraines. Smoking large dose of Cannalope Haze can cause dry mouth, dry eyes, and dizziness. So, it is highly recommended to be taking in small quantity for a person who is going to try it for the very first time. A few diverse strains go by the term Lemon Kush. The maximum famous is a cross of Lemon Joy and Master Kush. Though, another hybrid might include mixtures of Lemon G and Afghan Kush. Both of those forms are indica-dominant, but they deliver ample sativa results. Expect a justly balanced mixture of a heavy-bodied physical high through a calm, prominent mood. There is however one Lemon Kush diversity that has sativa-dominance, nevertheless the exact heredity is a mystery. You are more expected to run in the indica hybrids registered above. Still the common Lemon Kush strains can be indica-dominant, do not expect important couch-lock as of this strain. Lemon Kush makes a relaxed, easygoing feel that’s flawless for a slow afternoon. On consuming this strain, medical customers often experience relief from headaches. Those with anxiety and depression tend to like this smooth hybrid, though you can experience a slight paranoia if you take in too much at a time. Both of the maximum common Lemon Kush diversities have a justly great THC content. The Master Kush diversity has even stretched levels over 20%. However well-balanced, Lemon Kush may be quite strong. Despite the uncertainty around its roots, Lemon Kush is a delicious and active strain for those who need to appreciate the perfect effects of both sativa and indica varieties. Its cerebral attention and free-flowing creativeness can be mood-altering along with motivational and energizing. Its body stone permits for deep easing without the awkwardness of apathy or couchlock. Because of its sole citrus and spicy taste, Lemon Kush is as well a good strain to share in public settings — it creates for a distinct treat or a discussion starter. OG Kush carries an earthy pine and sour lemon scent with woody undertones, an aroma that has become the signature of OG Kush varieties and descendants. Its medical benefits include treating migraines, ADD/ADHD, chronic pain, hyper activity and stress disorders. It can have some side effects on newbie: like dry mouth, dry eyes, dizziness, and headaches. So, better take in a small short while giving it a try for the first time. OG Kush is loved by everyone due to its ability to crush stress under the weight of its heavy euphoria. It has many phenotypes some of which include Tahoe OG, SFV OG, and Alpha OG. It takes 7 to 9 weeks to flower. It can reach to the height of 90 to 160cms and its buds are quite large in size and very dense as well.